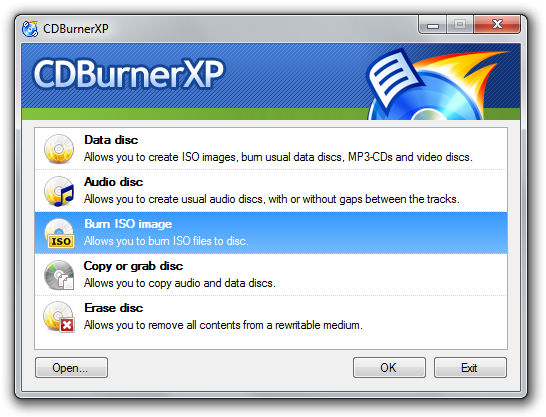 CDBurnerXP is an easy to use and free application to burn CDs and DVDs, including Blu-Ray and HD-DVDs. It also includes the feature to burn and create ISOs, as well as a multilanguage interface. 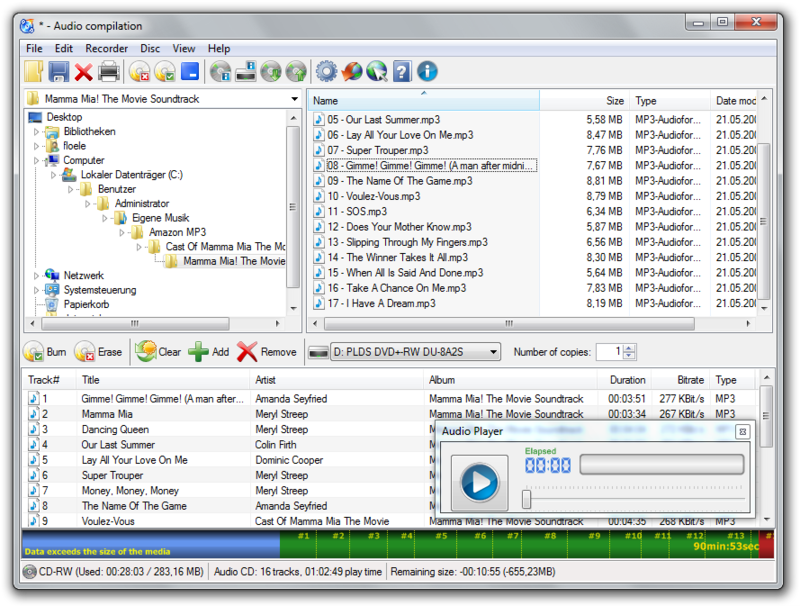 You can create data and audio CDs with or without gaps between tracks, burn and create ISO files, create bootable discs. It does however support Burn-Proof technology, multi-session disks, import of ISO images has bin/nrg - ISO converter, simple cover printing and much more. * New dialog for setting the file system properties #As long as issues are not solved, VS 2008 downgrade #tweet:Next version will have a new dialog for setting file system properties. Also explains limitations of the chosen file system.